Installing and wiring a light fixture is not a very difficult task, but does need to be approached with a degree of caution. Electricity is involved and if you allow it to it can give a nasty shock to the careless worker. Never take chances around electricity. The first step is always to turn off the current. Turn the light on and find the correct circuit breaker in your breaker panel. If necessary turn them off one at a time until the light goes out. Do not depend on the light switch to turn off the power to the light; someone else could turn it back on, especially if it is only one of two or more switches controlling the same light fixture. If you absolutely must leave the circuit breaker on, turn off the switch and tape it into the off position with a piece of masking or electrical tape. Repeat for all the switches that might control that particular light fixture. It is not as safe as turning off the breaker but hopefully, it won't be accidentally bumped on, and anyone trying to turn it on will at least pause and ask before doing so. As a professional electrician, I not only turn off all power but check with a voltage tester to make absolutely sure there is no current at the light. Voltage testers are a virtual necessity for anyone doing electrical repair or work in their home. Please consider the purchase of one of these inexpensive items before performing such work. As a professional electrician there is always one in both my pocket and toolbox, just as a spare in case one fails. Screwdrivers. Either or both a flat tip and a Phillips tip screwdriver may be needed: older screws in an existing fixture often need a flat tip, while newer screws are usually a Phillips tip. Wire strippers. If a new installation wire strippers will be needed. If you are replacing an existing fixture, the wires should be already stripped. Wire nuts. Probably supplied with the new fixture, but if not a few wire nuts will be needed. While not absolutely necessary, a non-contact voltage detector is an inexpensive method of maintaining your safety. A nasty shock in the middle of the job isn't pleasant. All of these tools should be in a homeowner toolset, but if not it would be a good time to start or finish your own toolset. 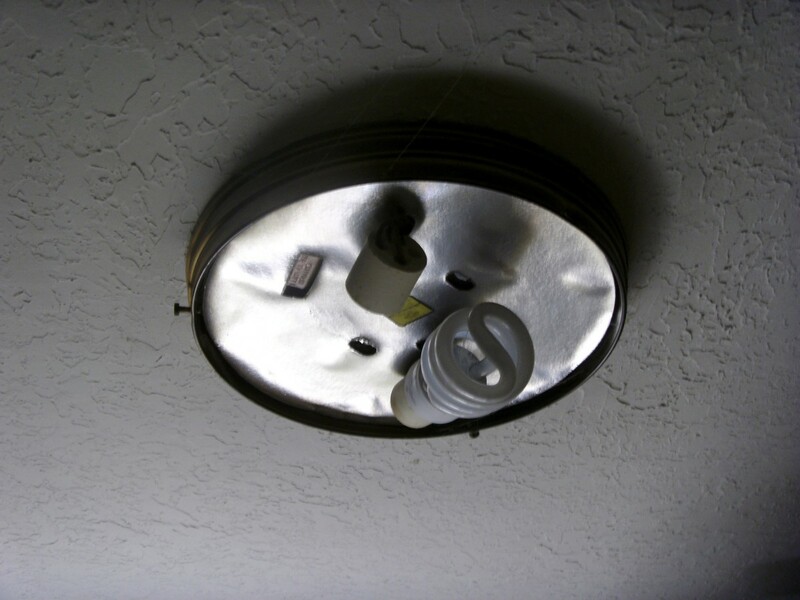 Any old fixture already installed must be removed before installing a new light fixture. Remove any glass globes and light bulbs as necessary; you won't want them falling off during the process. Most light fixtures are attached with two screws, but some use a large nut to hold the fixture to the ceiling. 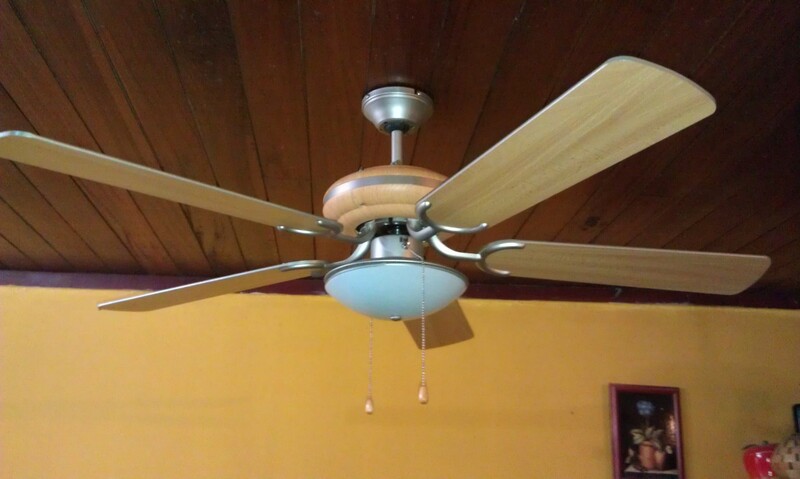 Loosen and remove the screws or nut as appropriate and gently lower the fixture as far as possible. 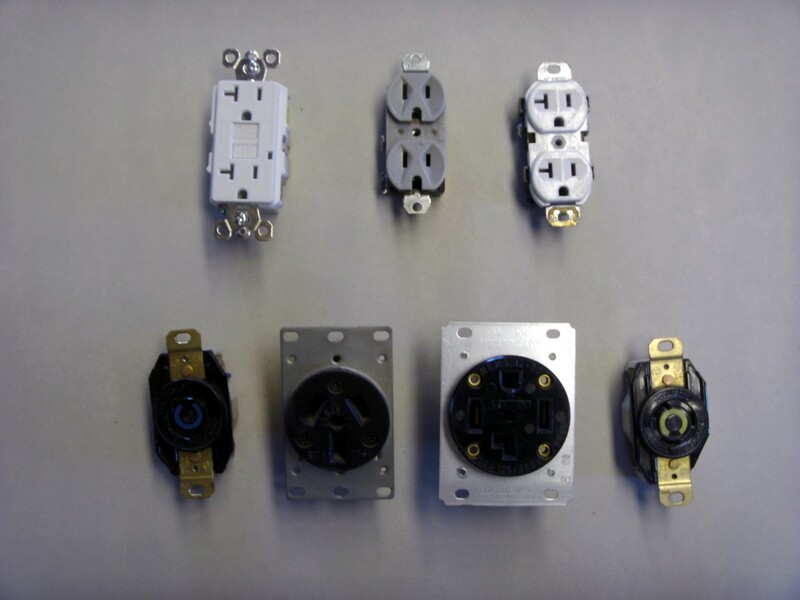 If there is a mounting bracket attached to the electrical ceiling box, remove and discard it. Now is a good time to check for voltage with a non-contact voltage tester if one is available, before proceeding with the removal. Older houses will occasionally have wiring that is not color coded or is too darkened to readily determine the wire colors - if this is the case make careful note of which house wire is connected to the black and white wires in the light fixture and mark them with a piece of tape for future reference. Remove the wire nuts connecting the house wiring to the light fixture and replace the nuts loosely on the house wiring as a safety precaution. As an elementary safety act, try not to touch the bare wires; yes, current is turned off, but a good electrical safety practice is not to touch any wire that could carry current whether turned off or not. Far too many people have been shocked by wires they thought were off, don't let it happen to you. 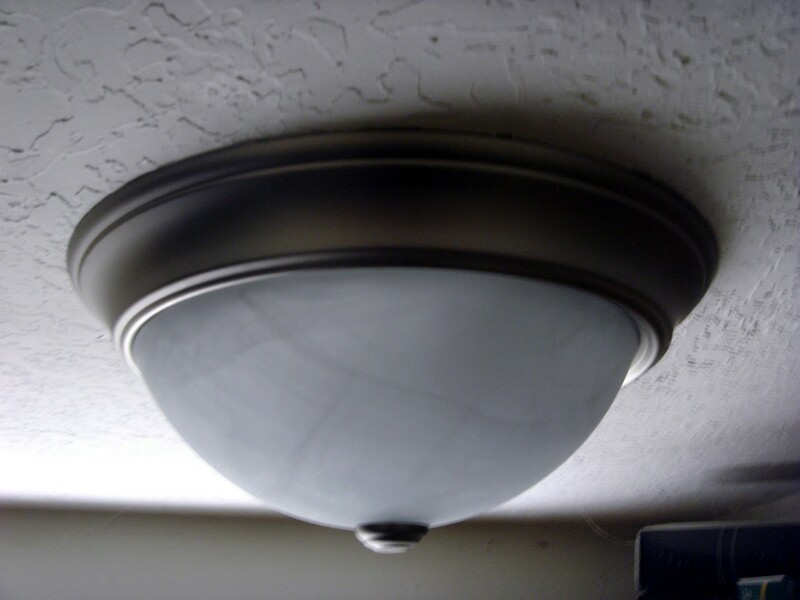 If the new light fixture is smaller than the old one and will leave an unpainted area of the ceiling visible, it would be a good time to apply a little paint. Most house paints will dry in only a few minutes and doing the painting without a new light fixture in the way will be much easier. Before wiring the new light fixture, check the existing house wiring for problems. Make sure there are no burned places with bare wiring showing (except for the ground wire; it is normally bare of any insulation or has green insulation). Check that any existing wire nuts are tight by holding the nut in one hand and firmly tugging on each individual wire. If any loose nuts are found tighten or replace as necessary. If the new light fixture will require a mounting bracket across the electrical box in the ceiling attach that bracket to the ceiling box in preparation for installing the new fixture. Connect the house wiring to the new fixture, making sure that the house white wire connects to the fixture white wire and the house black wire connects to the black wire on the fixture. 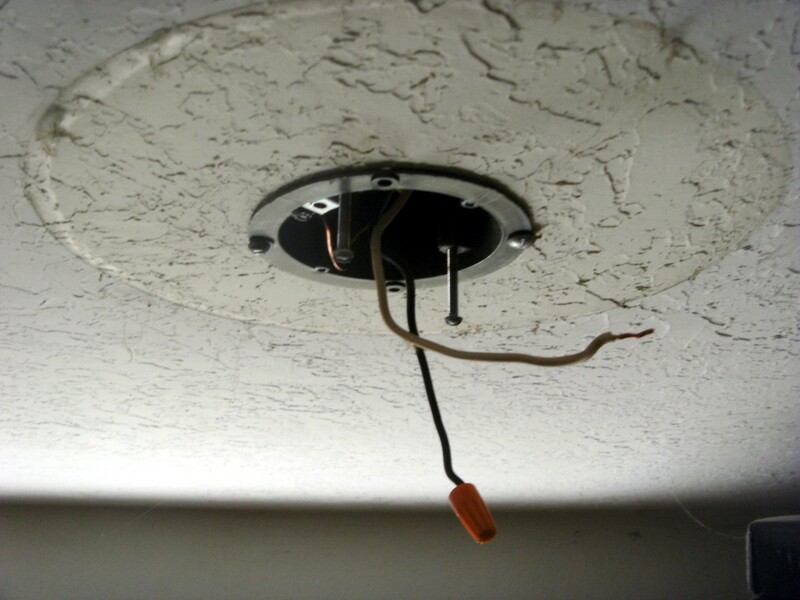 The house wiring should include a bare ground wire without insulation (or possibly a wire with green insulation) to connect to the bare wire in the fixture, but if not connect the bare wire in the new light fixture to the mounting bracket with the green ground screw provided. Again check the tightness of the new wire nuts by tugging on each individual wire while holding the nut in the other hand. Most light fixtures have a layer of insulation on the upper side, against the ceiling. Try not to disturb this insulation; it is there to keep the heat from the light fixture from going up into the wiring box. Tuck the wires into the ceiling box as much as possible and attach the light fixture to the box, using either the two screws or the long tube and nut that fits in the mounting bracket. 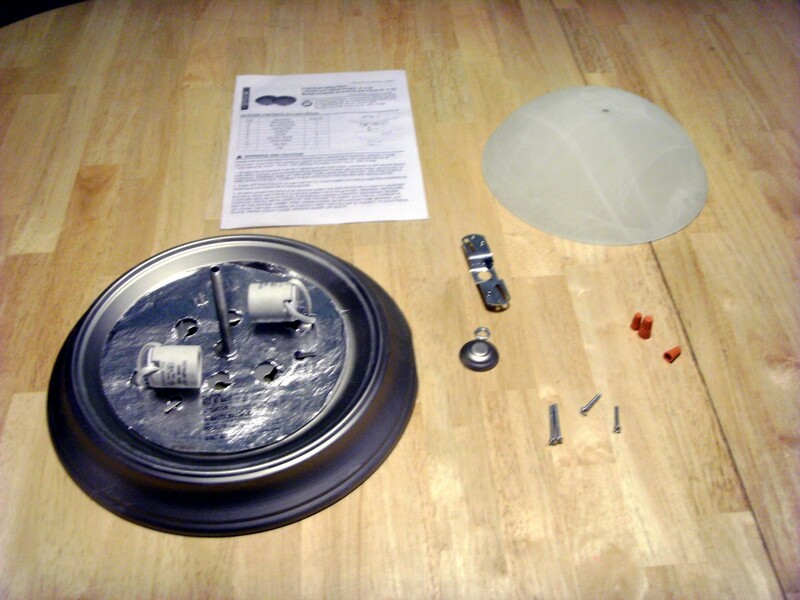 Your new light fixture will have instructions and diagrams on exactly how to attach your particular fixture. Tighten the screws or nut firmly, but do not deform the light fixture. Few fixtures fit tight against the ceiling at all points, and it is possible to deform it badly by turning screws and nuts too far. Install light bulbs as necessary and attach any light globes that are needed. Most globes are attached with small thumbscrews; again do not overtighten these screws as it will break the glass globe. Tighten just enough to hold the globe in place. Choose light bulbs according to the label on the new light fixture and make sure they are not too high a wattage. 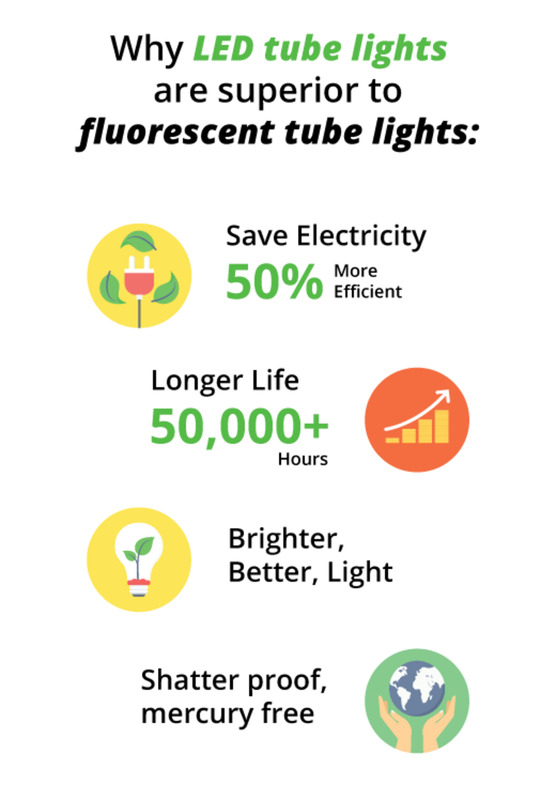 A good choice that will save considerable electricity are the small "corkscrew" fluorescent light bulbs or even the newer LED lamps. These have come down considerably in price the last few years and are becoming a viable option for savings. 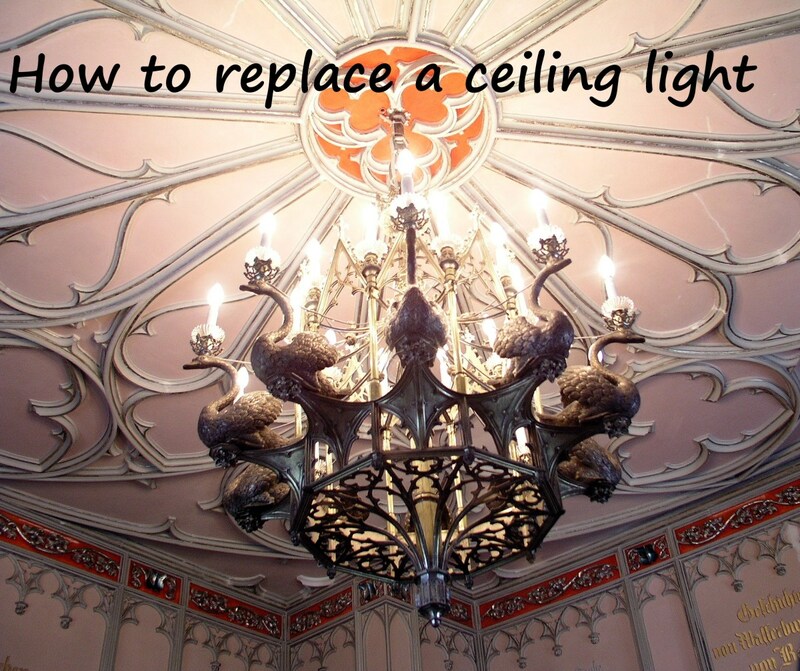 If you have read this article and still have doubts about your ability to install or wire a new light fixture may I suggest this article about learning how to do your own home repairs and improvements. Is it ok to cover the light fixture ground wire with tape? It will cause no harm, whether it is a splice or simply a bare wire. But it still needs to be terminated on the new light fixture or on the metal pieces that hold the fixture. Where do I hook the red wire from feed to light of 3-way circuit? There are no specific color requirements for 3-way switches. The hook up at the light will be the black light fixture wire to whatever wire is terminated on the common terminal of the 3-way switch. Not much, I'm afraid. Unless another light on the same switch has quit working (which might give a clue as to what the wires are doing) the only other thing is to cap all the wires individually and begin checking voltage with the switch on, and then off. That might give a clue as to what is going on. I have a normal cable in the ceiling - 3 wires (blue, green, black), and have installed other lights in the place without problems. However, I've just bought a new light fixture, which runs 6 globes. I'm currently confronted with 6 each of white and black (and one green earth wire). Can I safely combine the wires of the same colour and connect them as a bundle to the blue and black? Normally, multi-globe fittings have had the wiring combined within the lamp, and only have 3 wires to connect to the ceiling. I'm rather stumped with this new lamp, but don't really want to return it! About all you can do is supply a new ground wire. Run an extra wire to a copper pipe or to the ground rod servicing the house. It sounds like your new lampholder has an outlet to plug in a cord; as such it is required to have a ground or be a GFCI. You can't make a porcelain lampholder into a GFCI; all that's left is to provide a ground. As the receptacle has a ground socket it becomes even more important to provide that ground; anyone using the receptacle will assume the ground is there. I would encourage you to make the effort to supply a ground to that receptacle. Hey great articles on home repair. I am about to attempt to upgrade an old brass light socket with a porcelain lampholder with grounding outlet. What I want to know is, the new outlet has a ground screw but the old brass socket only has two wires, is there a way to "ground" it safely to anything else? This new outlet will get regular use and I would like it to be very safe. Glad it worked for you, and thanks for letting me know. It's always nice to know when I've helped someone out. You're certainly welcome, as well - after all, that's why I write these articles. Thank you, I will go home tonight and try that. I will let you know if it works. In the light box behind the new fixture you are installing are 3 cables, with three white wires spliced together, two black wires spliced together and one red wire. Right? And connecting the wire with wording to the black wire results in a light that won't turn off. The wire with no wording needs spliced in with the other 3 white wires, and it sounds like you did that. The wire with wording, however, needs to be attached to the red wire instead of the black. One of those existing black wires will be going to the switch, to provide power to that switch, and will remain hot at all times. The red wire is coming back from the switch, and the switch will turn it on and off. So, splice the wire with wording to the red wire, not black. Leave the two black wires spliced together, just the way they were. Do check thoroughly that there aren't actually three black wires up in the box; from the description you may be missing a black wire, perhaps intended to turn on a second light in the same room or providing power to a second room. 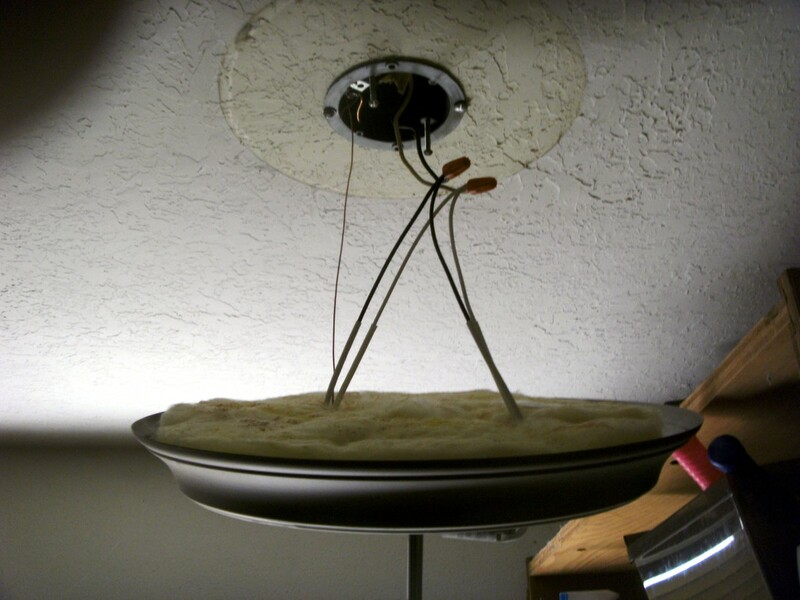 If it is there, splice it with the other two black wires, but not to the light fixture. If this doesn't work, make absolutely sure that you know exactly what wires are in the box (that there isn't another one tucked back into a corner) and get back to me - I'll try to work through it with you. It might also be helpful to know what wires and cables are in the switch box as it is not always easy to troubleshoot a system long distance. Glad to hear it worked out, and that I was able to help out. Thanks for letting me know. All of the grounds splice together, and to the light. All the neutral (white) wires splice together, and to the light. Most common for what is left would be to splice the two blacks together, and put the red to the light. If it turns out that the outlet is switched instead of the light, reverse the black and red on the larger cable by splicing the red to the black going to the outlet and the black from the switch cable to the light. My light box has a wire leading into it that has a white, black, and red wire. A wire out of that box going to an outlet. How does new lignt fixture get wired? The plot thickens. Live tester? A non-contact voltage detector? While I've never received a false negative from one, false positives are certainly possible, and they will pick up induced voltage (voltage induced in a nearby wire). That is almost certainly what you are seeing. 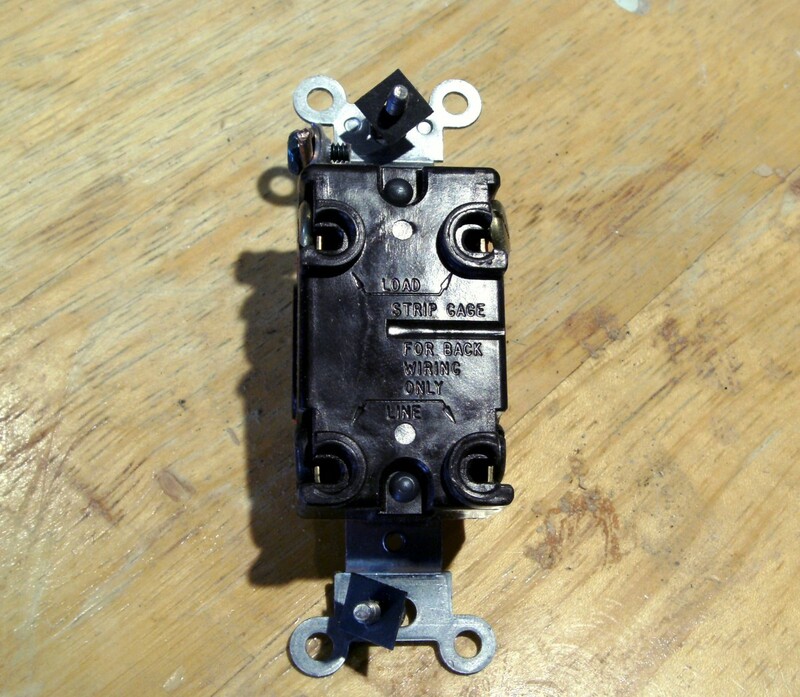 It is possible that the power is introduced into the fixture box, taken to the switch and returned to the fixture after being switched. If there is only one cable, with a black and white wire, that is almost certainly the case. If that is what is happening it is likely that the make-up in the light box is bad. Remove the fixture again and check the splices in the light box - there should be a black wire spliced to the cable going to the switch, and that splice is likely loose. Any time a wire nut is used, you should hold the nut in one hand and firmly tug on each wire in it, one at a time. If you can pull it out of the nut it will cause problems. I have to ask, as well, where are you checking voltage in the light switch? Between the wires on the switch and ground? Or between the two wires on the switch? You should check to ground, not with a test lead on each wire on the switch. Checking between the switch wires will show 120 volts when the switch is off (and a good light bulb is screwed in), but 0 volts when the switch is on whether there is power there or not. 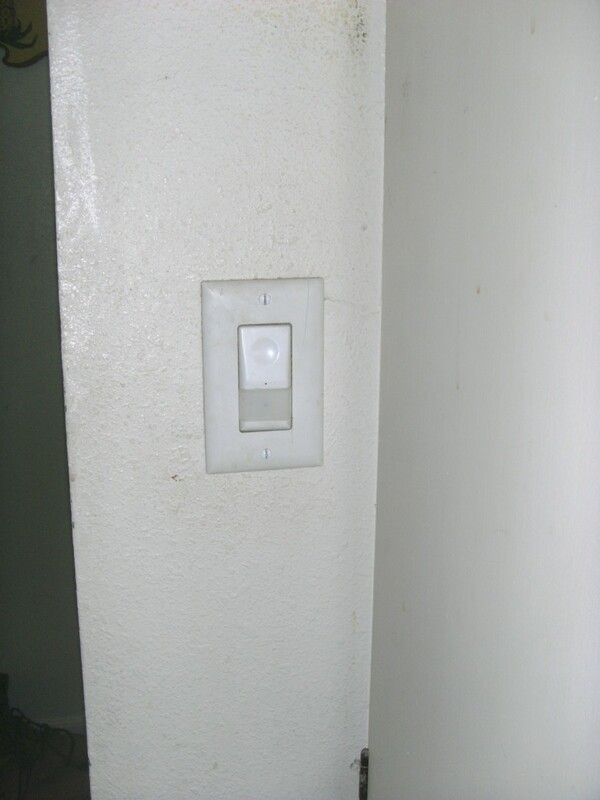 It is showing there is no power going to the light switch. I put the live tester in there and it says the wires are live but when I put the multi-meter on it, it says that there is only 4 volts going to the switch (which worked before we started working on replacing the light fixture)(which makes no sense to me). I assume that you are checking voltage in the light socket of the new light. If so, you are basically seeing 0 volts (the voltmeter is picking up stray static or induced voltage, not that from the breaker panel). If that is the case, you either have a defective light fixture (unusual, but certainly possible even with a brand new fixture), or one of the connections in the box above is bad. Check between the "hot" bulb terminal (center of the socket) and the metal frame of the fixture (assuming there is a ground that is properly connected. Voltage there but none between the "hot" terminal and the shell of the bulb screw in socket indicates a bad neutral. No voltage indicates a bad "hot" connection somewhere. Alternative things to consider: did you enter the switch box? Is all OK there? Did you forget to turn the breaker back on? If you remove the new fixture and check voltage across the black and white wires is it showing power to the box (if not you have other problems, if it does either the connections were poorly made or the fixture is bad)? If you're still having problems after looking at these things, let me know with all the information you have and I'll try again. I just put in a light fixture and now it won't light up. I put a multi-meter and it is saying (with the power on) that there is only 5 volts coming through when before I put up this new light fixture, the light was working just find. Do I now need an electrican? You must have a neutral (SUPPOSED to be white) and a hot (SUPPOSED to be colored) in the ceiling. Are you sure that one of the wires isn't simply blackened with age? Is it possible that the house is old enough (1950's or earlier?) to have knob and tube wiring? It would be very unusual to find a ground in that case but it could have been added later. If it is the wires will definitely be separated and not both in a common insulating sheath. The hot wire in the ceiling may be determined by turning the power and the switch both on and checking with a volt meter or non-contact voltage detector. If a voltmeter is used check between each wire and the ground. The other wire must be cold under these conditions. If an ohmmeter or a continuity checker is available the neutral and ground should have continuity (have 0 ohms between the two). If the new fixture uses a screw in bulb (as opposed to a straight halogen bulb or something else that doesn't screw in) then the outer shell of the lamp MUST be attached to the neutral. If the neutral goes to the center terminal of the bulb and the hot to the outer shell a shock can easily occur when changing bulbs. The instructions with the new lamp should tell you which wire to hook to the neutral, but if not you will have to determine which one goes to the outer shell with the continuity checker or ohmmeter. If this does not give you enough information to install the fixture write back and try to give me more info. What kind of light is it? Are there any other wires in the box (is there even a box or just wires sticking down through the ceiling?) that do not go to the light? Is there a light switch or did the old fixture operate with a pull chain? This wasn't a 240V light fixture in a barn or something, was it? Do the wires enter the ceiling box via a conduit (pipe) or just stick into it? Anything else you can think of. Haven't seen this before: wiring from new fixture is two white wires & a ground. the wiring from the ceiling is two black wires & a ground. huh? Thank you. 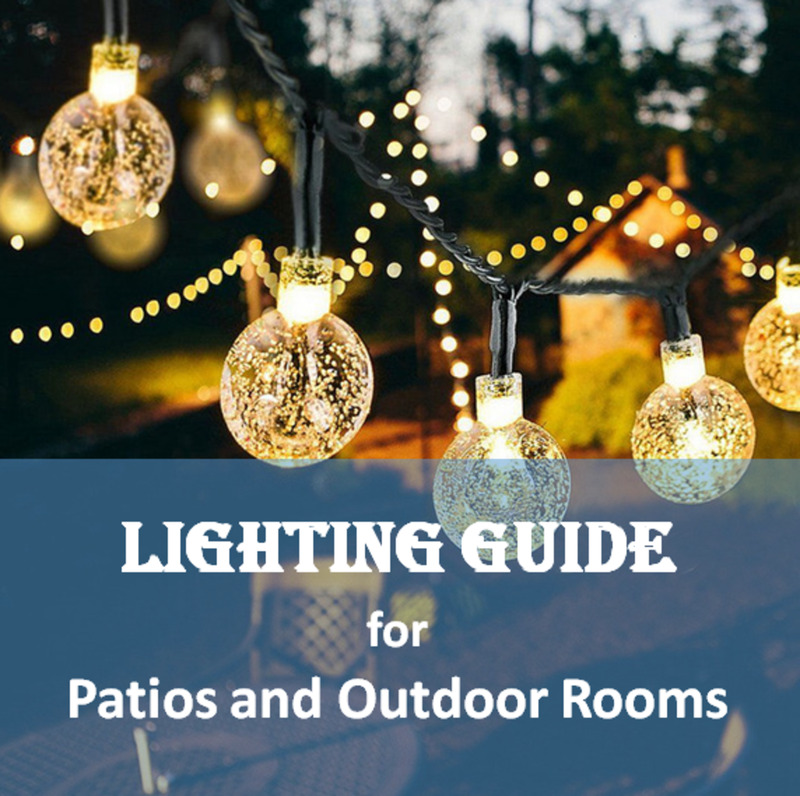 It is not difficult, and most homeowners can install their own new fixture with only a little guidance. Nice Hub. These are some great tips and steps on how to install and wire a lighting fixture. We could talk for days about electrical work. I understand what you are saying about ballast as well. We should have a website about electrical. Entirely correct, and something I should have mentioned. 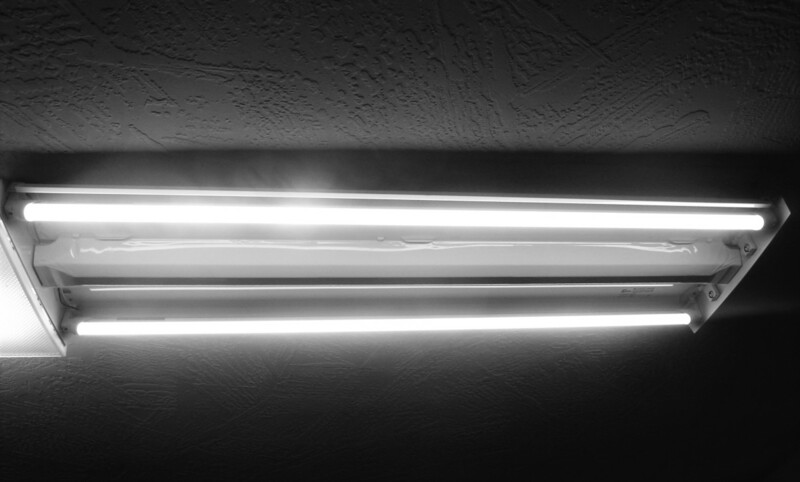 In addition, I recently had to change 5 flourescent ballasts because the owner had put the wrong wattage lamp in them. 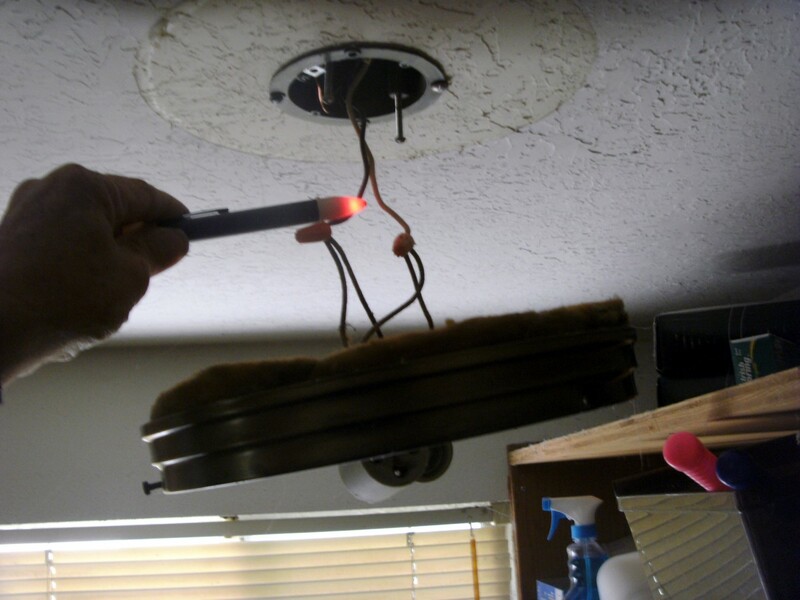 It can burn down a home or simply ruin a fixture to do this. A good point - thank you. One of the biggest issues I find when a homeowner has a new light fixture installed is the lamps. When the fixture is changed out, I always let the owner know if the lamp wattage is the same or different. One can use a smaller wattage such as a 40 watt in place of a 60 watt lamp, but it is not a good idea to use a 100 watt lamp in place of a 60 watt. All fixtures come with a "recommended wattage for lamps" and should be followed.